While the U.S. and China have reached a deal for China to buy U.S. agricultural goods, the market is waiting for China to drop tariffs before transactions take place. Reuters reports no substantial purchases can happen with a 25 percent duty still in place on U.S. soybeans, corn, sorghum and wheat, according to buyers and analysts. 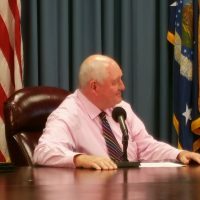 China over the weekend agreed to a trade war ceasefire, and the White House said China had promised to buy an unspecified but “very substantial” amount of agricultural, energy, industrial and other products, with purchases of farm goods to start “immediately.” Though, Agriculture Secretary Sonny Perdue says the purchases will likely start next month. China’s foreign ministry said on Monday that the two presidents had instructed their economic teams to work towards removing all tariffs. Until then, Brazil is nearing harvest season of its soybean crop and, being cheaper, could instead supply China’s soybean needs.